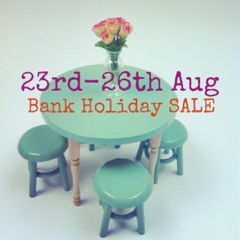 Well it's the last Bank Holiday weekend of the Summer here in the UK (already!) so thought we'd go out with a bang and have a little sale over at Four Little Walls.com. Pop over to snap up a mini treat or two! New Arrivals: What's your poison?